A few years ago, I was stopped in Toronto’s St. Lawrence Market by TV host Wendy MesIey who, upon holding up a microphone asked, “What’s the most outrageous cell phone bill you’ve ever had?” When I responded, “I don’t have a cell phone,” she looked at me like I had nine eyes. I’ll admit to holding out on a cell phone purchase to the point where I had a choice of either losing touch with all my friends or caving. I caved and added yet one more distraction (albeit a convenient one) to my distraction-riddled life. For most of us, cell phones are the new landlines. But for people living outside a significant population centre, poor cell phone reception can make smoke signals a better option. Luckily for those in such a predicament, there’s the weBoost line of cell phone signal boosters. These devices use a series of antennae to lock on to voice and data transmissions and amplify the signal 32 times before sending it along to the user’s cell phone. 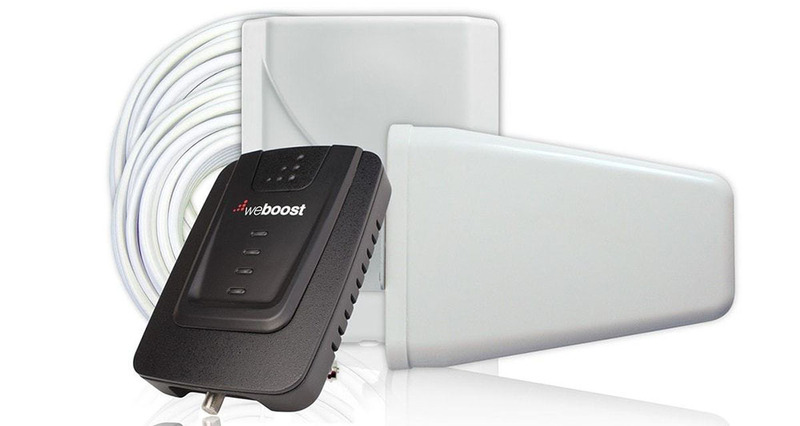 I was fortunate to receive the weBoost 4G Connect Cell Phone Signal Booster to take for a test ride. Thing is, my cell phone reception at home is fine. A friend of mine’s, however, is (or should I say was) not. “Installation right out of the box was super easy and the directions were simple to follow,” he reports. “After powering up the unit I immediately went from having no bars registering reception and constant dropped calls, to having three bars and a crystal clear connection, even in my basement! Jamie told me this over the phone – with no static or dropouts and crystal clear reception.